If you are looking for Dodge auto dealerships near you with an amazing selection of Dodge SUV models for sale, come to Ewald Chrysler Jeep Dodge Ram Franklin. The inventory selection of Dodge SUV models makes it easy to find an awesome Dodge SUV for sale that can offer you the performance and power you need! The Dodge auto dealerships near you of Ewald CJDR Franklin, we can offer more than Dodge SUV models. We also sport a selection of new and used Dodge minivans for sale, Dodge cars for sale, and much more if you are not looking for a Dodge SUV for sale. Drivers from all around Wisconsin want to have a broad selection of vehicles to choose from, and Ewald’s Dodge dealers in Wisconsin have the inventory for you. At Ewald Chrysler Jeep Dodge Ram Franklin, we have the selection of Dodge SUVs for sale you have been longing to find at Milwaukee Dodge dealers. Find models like the Dodge Journey to the Dodge Durango here at Ewald’s Dodge auto dealerships near you. Which Dodge SUV for sale will meet your needs best? Ask a knowledgeable team member here at Ewald’s CJDR near Milwaukee Dodge dealers in Wisconsin. They are here to answer your questions about the Dodge SUV for sale you want and take you out for a test drive. Enjoy hours of comfort and convenience features in a Dodge SUV for sale while cruising the streets of Wisconsin. 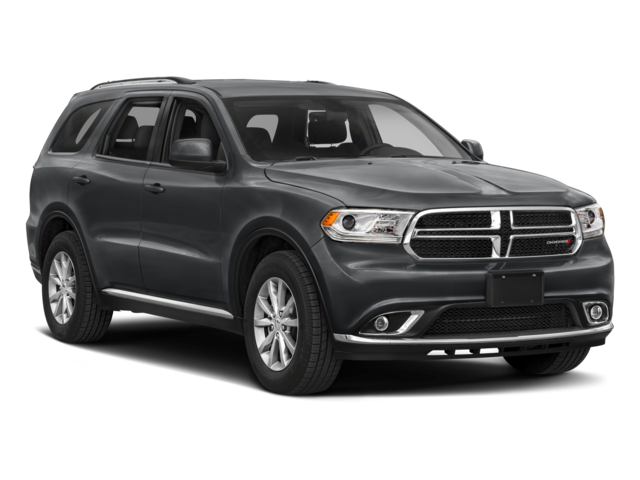 If you are looking for a Dodge SUV for sale that offers a ton of power and space, check out the Dodge Durango at Ewald Chrysler Jeep Dodge Ram Franklin. This Dodge SUV for sale at Ewald’s Dodge near you comes equipped with a many standard and optional features to enjoy. Find features such as a built-in navigation system, backup sensors, multi-zone climate control, and more. So, get ready to pile everyone in and go on your next adventure in an SUV like this Dodge near you today. When you are looking for Dodge SUVs for sale, you can’t go wrong when you choose a Dodge SUV for sale from Ewald’s Dodge auto dealerships near you. When it comes to finding the right Dodge SUV for sale, the team at your local Ewald’s Dodge dealers in WI are here to help every step of the way. Ewald Chrysler Jeep Dodge Ram Franklin wants to be your Dodge auto dealership near you. Find Ewald Chrysler Jeep Dodge Ram conveniently located at 6319 South 108th Street in Franklin, WI 53132. Or call Ewald’s near Milwaukee Dodge dealers in WI at (414) 376-7933 to schedule your test drive appointment today. Here at your local Dodge auto dealerships near you, we strive to make shopping for a Dodge SUV for sale as easy and stress-free as possible. Our goal is for every driver to find the Dodge SUV for sale that meets their vehicle needs with a payment they can afford at Ewald’s near Milwaukee Dodge dealers in WI. So, when you are searching for Milwaukee Dodge dealers in WI that offer a wide selection of Dodge SUVs for sale as well as great finance and lease deals, come to Ewald Chrysler Jeep Dodge Ram Franklin.